Tetiana began her career in the Ukrainian civil service before moving in to the world of development. Since then she has held varied roles with the World Bank, the United Nations Development Programme (UNDP) and the Swedish International Development Cooperation Agency (SIDA), before joining Crown Agents. 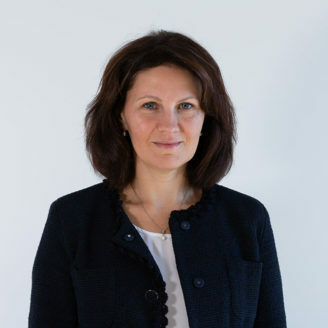 She is now Country Manager for our Ukraine office in Kyiv, where her expertise has been central to delivering much needed change for the country’s citizens by ensuring access to high quality medical products and more affordable treatment. Tetiana is proud that she can be a part of something which is leaving such a positive legacy in Ukraine. When she’s not busy doing that she likes to relax with a good book, or by planning her next trip abroad.